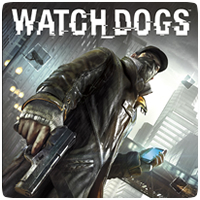 Watch_Dogs has been delayed for quite some time now, after missing it’s original launch window back in November 2013 when the PS3 launched in North America and Europe. However, Sony has updated the release date on the North American PlayStation Store to show a June 30th release date. Only a PS3 listing for the game exists on the Store at the moment, and it could very well be a holding page until an official release date is revealed. However, the same listing on the European PlayStation Store shows a release date of January 1st 2099, which is definitely a placeholder.